Your best freight logistics experience ever or the shipment is free. Setting up a successful freight shipment takes time. Chris' team understands each client's individual requirements so they can capture & organize this information on the client's behalf. 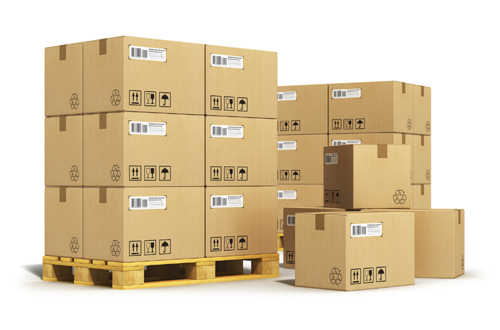 We are the first point of contact for vendor shipping issues. We resolve freight shipment issues quickly and professionally without involving you unless necessary so that you can stay focused on the rest of your business. We get you low enterprise-level freight shipping rates through RR Donnelley®, a Fortune 250 global shipping company. We’ll manage all your freight shipments for you, and you’ll still save money over doing it yourself. As your 3PL, we happily handle all your freight shipping needs – local, national and international; LTL, truckload, air freight or ocean. Simplify your business by having all your freight shipments managed through a single point of contact. "I went to DLS Worldwide because we were having a lot of operational and invoice issues using another freight broker. Chris and his 3PL team not only handle any problems that come up over the course of a shipment but Chris has also become a trusted advisor for navigating freight invoice issues." "Chris & his team seamlessly coordinate with my shipping vendors around the country to setup & manage my inbound freight shipments so I can focus on the bigger picture of running my business. If there are any shipping problems I know I can contact Chris and he will take care of them promptly." "I really appreciate the customer service and personal touch that Chris and his team at DLS Worldwide has provided in helping us to expand our freight shipping options, reducing man hours and overall freight spend. Shipping freight is now easier, quicker, and priced competitively. The degree of “personal relationship” has been brought to a whole new level. The excellent customer service and top notch skills make shipping a smooth experience and their response time is exceptional." CAN WE SCHEDULE YOUR NEXT SHIPMENT? We want you to give us a shot at handling your business. We are so confident in our services that if you are not completely satisfied with your experience we will fully refund your money for your first shipment up to $500. It's our guarantee.